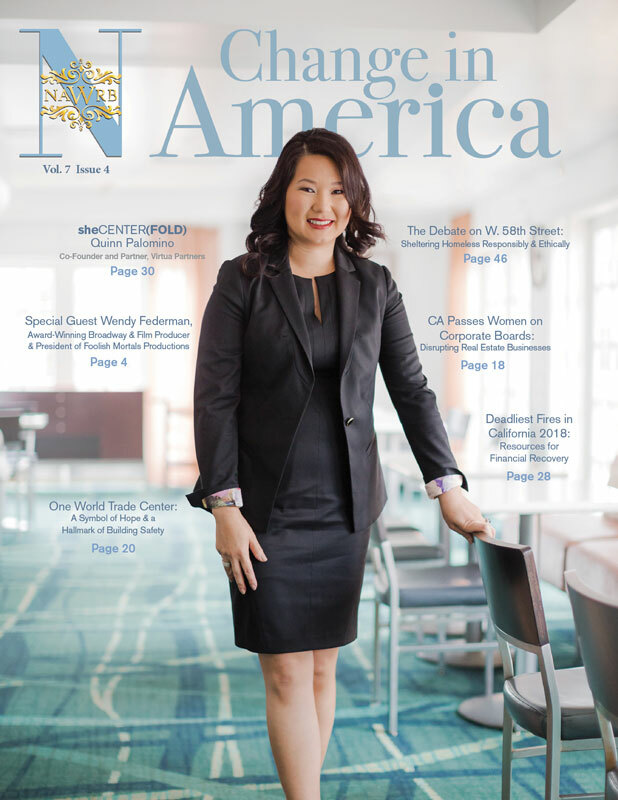 As we continue to evolve and reinvent new ideas and strategies in addressing new issues, we must be a leader, mentor and collaboratively work together to strengthen our industry and professional work environment. 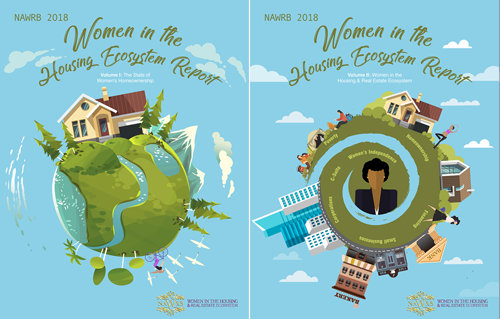 As many women in the housing economy work tirelessly living commission to commission with a significant pay decrease, it is imperative we expand the awareness and access for opportunities to retain quality, talented women professionals. With numerous variations within these components, the overall essence is having a contract to perform work. Our goal as a real estate agent, lender, escrow officer, contractor and associated services is to build relationships to capture first time clients with repeat and referral business as we contribute and engage with our communities to grow our business portfolio with extended outreach. As the market has taken a large swing in volume of properties being sold to being managed, we have to look at our business model and ask, “Are we passionate on being in the industry?” Margaret Kelly, CEO of RE/MAX, recently stated, “The low inventory… sure, it’s an issue and we need to look at it, but we’re still talking about 4.9-5 million sales. 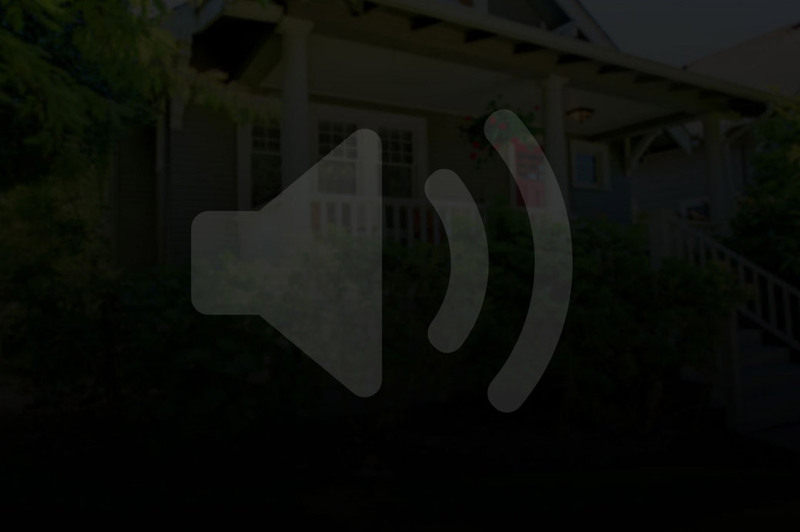 With that many properties available for sale, agents should be asking themselves, ‘What’s really going on in the market?’” As there are many variations within real estate, a lender, title and escrow officer can still produce income with a refinance of a home, while most income for agents is derived from the transfer of a property besides property management. With the amount of properties transferring ownership and the incredible corresponding amount of business being contracted, we are still seeing professionals leaving the business in droves through retirement, technology issues, and not being able to deal with the new demands of increased work load per contract and compliance issues. 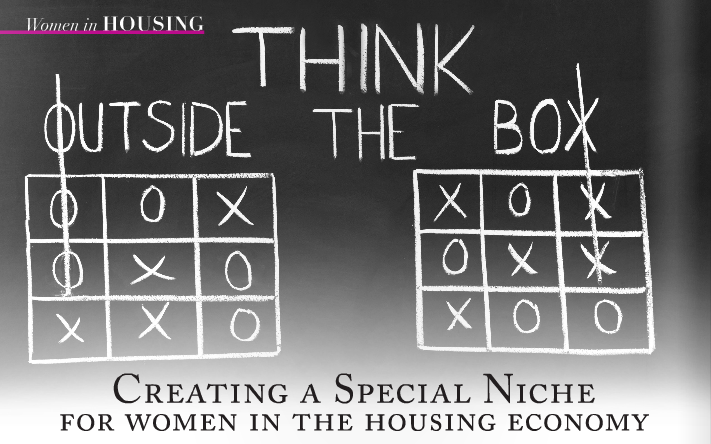 How do we create more opportunities and experiences to retain talented women professionals in the housing economy? Growing your existing business and expanding your business portfolio outside “the box” is essential to staying competitive and financially sound. 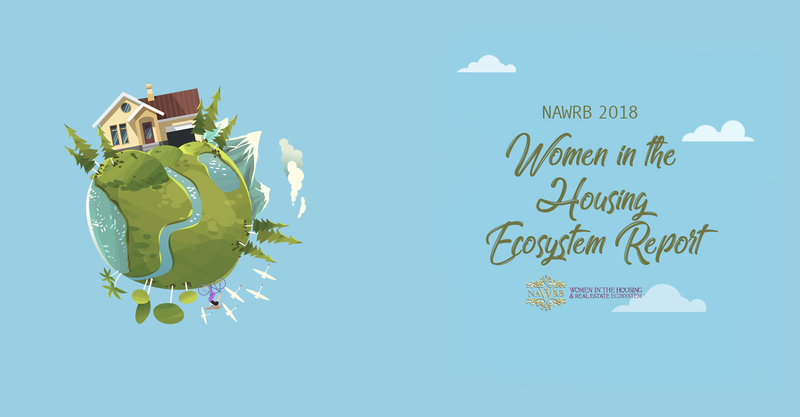 Within the industry to help with education and awareness, NAWRB created the Women In Housing Financial Fitness Road Show. By taking the elements of two specialized markets–women in housing and women in government– individual to corporate and government contracting, we have developed our Fast Track niche to bring the awareness, opportunities and access to offset living commission to commission. Learn about access to business growth with loans from as little as $25,000 from the SBA to hire that much-needed assistant or expand your marketing, or $200 million Diversified Securities from Morgan Stanley to service those high net worth individuals. Imagine receiving a grass cutting contract, not normal property management, to cut grass at a couple of commercial buildings for $88,000 a year, and then growing that same contract to $1.9 million a year within two years! There are so many ways of working within the industry or with a property. By working directly for a financial institution, homeowner, hedge fund, non-profit, developer, property manager, government agency or attorney, you can take your existing skill set and explore a hybrid. Do you want to become the preferred title company/contractor for your local city on all their transactions? How about being the local real estate expert on land development? Think of how many individuals and companies come in contact with your local city each year! Your bread and butter needs to become a producing bakery that can be managed and nurtured with the right amount of special ingredients, You! With new relationships, you create additional opportunities to grow and with newfound enthusiasm, you will increase a way of giving back or being involved within your community. We all have to find within ourselves what we truly have as a unique gift or are passionate about. NAWRB would love to hear Your Special Niche. Please submit an article to media@www.nawrb.com to share your growth to help expand NAWRB’s awareness as we travel throughout the nation. Advocates for the women’s contracting community are alive and well in Washington. An issue that has limited the success of a program designed to help women access the federal market has taken center stage in both the House and the Senate. Moving forward will require the united voice of the women’s business community and the understanding of where this program came from and where it needs to go. Women business owners have thrived since the government began tracking business ownership in 1972. The growth and success of women-owned small businesses (WOSBs) has often relied on approaching and jumping into new markets where they often faced barriers. But, as successful business owners will tell you, you have to go where the business is. One such area is the federal procurement market, where opportunities now total more than $500 billion annually. As businesses look to increase revenue, selling goods and services to the federal government – the world’s largest consumer of goods and services – can be lucrative. But historically, women business owners had only peripheral access to these opportunities, and even then, often only through subcontracting. In an attempt to change this, Congress established a government-wide goal of awarding 5% of federal contracts to WOSBs in 1994. They hoped this effort would galvanize agencies into working with women-owned companies. But that effort simmered and government contracting with women-owned businesses grew only marginally. For this reason, Congress established a program to help the contracting community and assist the women’s business community with finding opportunities. Unfortunately, it took more than a decade to implement the program. 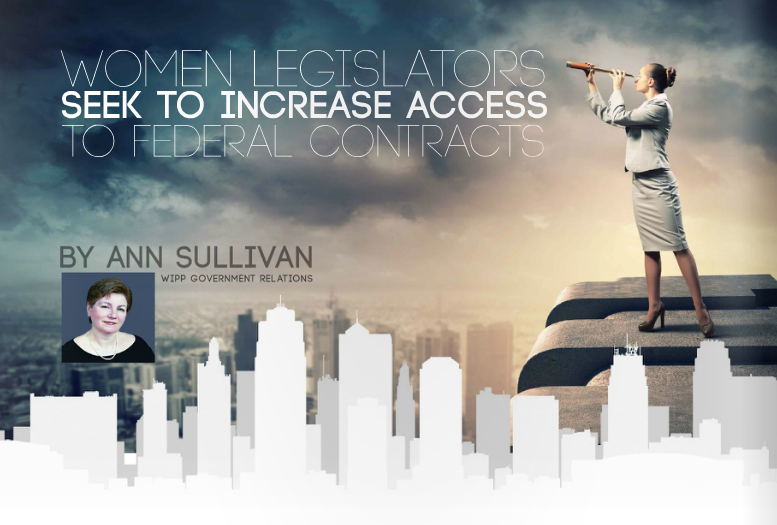 In 2011, 11 years after Congress acted, the Women-Owned Small Business Federal Contract Program (“WOSB Procurement Program”) was established to increase access to federal contracts by limiting competition to women-owned firms only. Yet the program came with significant restrictions—restrictions other small business contracting programs did not face. Most notably, awards through the program were capped at $4 million for goods and services contracts, and $6.5 million for manufacturing contracts—making the process of awarding contracts to women-owned business cumbersome for contracting officers. Due to advocacy on behalf of women business owners and the support of two strong women in Congress, Senators Mary Landrieu (D-LA) and Olympia Snowe (R-ME), Congress passed legislation removing those arbitrary award caps in 2013. While that was an important step, the limitations did not end there. The program is not open to all categories of industries represented by women; about one-third are included in the WOSB program. This limitation is due to a study from 2007 that looked at under-representation of women-owned businesses in federal contracting by individual industries. The SBA looked too narrowly at the study, identifying only a few industries where the government was deficient in buying from women-owned companies, giving us the restriction we face today. While it is widely accepted that programs such as the WOSB procurement program need underpinnings that show disparity, the 2007 data is old and outdated. In 2013, Congress called upon the SBA to complete a new study by 2018. In the three years since the implementation of the program, the goal of contracting 5% of federal dollars to women-owned businesses still has not been met. Failure to meet this congressional-set goal translates into roughly $4 billion in missed opportunities for WOSBs annually. Despite SBA’s efforts to educate women business owners and federal acquisition officers in federal agencies on the WOSB program, a mere 1/100th of one percent of federal award dollars has gone to women-owned businesses through the program. Clearly, barriers still exist. Heralded as a tool to level the “procurement playing field,” the Program was hardly designed with equity in mind. The WOSB Program remains the only major small business contracting program that does not have sole source authority, an important tool contracting officers use to make contract awards to small businesses. Every other small business federal contracting program has sole source authority. All we are asking is that we be treated equally, that’s all. In fact, more than 15% of all contracts designated for small businesses were awarded through sole source contracts. The inability of the WOSB procurement program to utilize this contracting tool represents a substantial loss to women-owned companies. Just for a point of reference, that 15% equals roughly $7.8 billion in annual contract awards. Failure to have access to this tool puts the program and the women it seeks to assist at a disadvantage. Rather than wallow in the inadequacy of 1/100th of a percent, advocates such as Women Impacting Public Policy (WIPP) have been busy trying to change it. Earlier this year, the first step came in the form of an amendment sponsored by Representative Jackie Speier (D-CA). A Member of the House Armed Services Committee, Rep. Speier shepherded the amendment to the National Defense Authorization Act – a bill that is known in Washington as “a must pass” piece of legislation. The amendment gives the WOSB procurement program sole source authority. It also accelerates the disparity study on which the WOSB program is based by directing the SBA to conduct a new study within two years. Why wait until 2018 to renew the list of industries underrepresented by women in federal contracting when they were already out of date in 2011? Now it is up to the Senate to act. Senator Jeanne Shaheen (D-NH) has already taken a leadership role, alongside Senators Cantwell and Gillibrand, by introducing the Women’s Small Business Procurement Parity Act (S. 2481). The bill mirrors the amendment that was successful in the House. Women business advocates are busy urging other Senators to join the effort. This is the power of advocacy in action—and a good example of how government can help the women’s business community. Making this change will bring better opportunities to women entrepreneurs seeking to compete for federal dollars. Increasing access to such opportunities is critical to continue the vibrant contribution of women business owners to the economy. Despite budget instability from sequestration and the government shutdown, women business owners have had noticeable success in government contracting in recent years. According to the National Women’s Business Council, more than $100 million in contracts has been awarded through the WOSB (Women-Owned Small Business) Federal Contract set-aside program. Women contractors received another win in early 2013 when President Obama signed into law the National Defense Authorization Act, which removed the $4 and $6.5 million caps on contract awards in the WOSB Federal Contracting program. As a woman business owner and federal contactor, I’m thrilled to see the WOSB program inch closer to its 5 percent goal and am hopeful that we will surpass it within the next few years. And as opportunities continue to grow, I expect to see more women business owners entering the federal marketplace. Now, more than ever, WOSBs should take advantage of resources that can help them gain a competitive edge and strengthen their networks within the government contracting arena. Last year, the U.S. Small Business Administration (SBA) teamed up with Women Impacting Public Policy (WIPP) and American Express OPEN to launch ChallengeHER – a joint-initiative designed to boost government contracting opportunities for women-owned small businesses. By leveraging the resources of the SBA, WIPP and OPEN, the free national program works to empower the success of the WOSB program and ensure that women contractors get their fair share of federal contracts. ChallengeHER was extremely successful in its inaugural year, hosting events in eight cities across the United States and connecting more than 1,200 women-owned small businesses to free resources, curriculum, guidance, and contracting opportunities. Now in its second year, the program has a full calendar of events including Seattle (April 22), New York (May 21), San Francisco (June 16), Milwaukee (June 26), Chicago (August 7) and multiple events in Washington D.C. with government agencies like the U.S. Department of Agriculture (USDA) and the Environmental Protection Agency (EPA). You can visit www.wipp.org/?ChallengeHER for more information about upcoming events and training. With the recent passing of the $1.1 trillion federal budget, agencies are finally back on solid ground with their funding through 2015. In fact, I’ve noticed that the federal government portal for purchases over $25,000—Fed Biz Opps (www.fbo.gov)—has experienced an increase in contracting posts, Sources Sought notices (agencies try to obtain market research using Sought and Request for Information notices) and Indefinite Delivery/Indefinite Quantities (IDIQs) type contracts. A recent report by American Express OPEN found women business owners spent an average of $112,112 in 2012 in pursuing federal contracts – up 29 percent from 2010 but still well below the investments made by their male counterparts. If you haven’t already, register your women-owned small business with SAM (System for Award Management) at www.sam.gov and visit www.sba.gov/wosb to determine if your firm qualifies for the WOSB self-certification program, among others. Let’s keep this momentum alive. Lourdes Martin-Rosa is the American Express OPEN Advisor on Government Contracting and has 20 years of experience in the federal procurement arena. She helps small businesses get contract ready and achieve contract success. For more information, visit:www.openforum.com/governmentcontracts.